On Tuesday Greatland Gold (LSE:GGP) said it had reached a farm-in agreement with Newcrest Operations Limited concerning its Havieron gold-copper project in Western Australia. The deal gives Newcrest Operations, a subsidiary of Australia’s leading gold producer, Newcrest Mining, the right to acquire up to a 70pc interest in the 12 blocks that cover the Havieron target. In return, Newcrest will spend up to US$65m on exploration and development of the asset. Four milestone stages have been agreed upon, starting with a US$10m spend on the blocks by Newcrest. Stage two will give Newcrest a 40pc earn-in and requires an additional US$10m investment within 12 months of the completion of stage one. Delivery of a Feasibility Study as well as a further US$25m in expenditure within two years from the satisfactory completion of stage two takes Newcrests ownership of the blocks to 60pc. Finally stage four requires a further US$20m spend, taking Newcrest up to a 70% working interest. Assuming a positive Feasibility Study is delivered, the companies intend on processing ore at Newcrest's Telfer Gold Mine which is situated around 45km from Havieron. As today’s RNS highlights, this has significant benefits including no requirement another plant, the usage of existing infrastructure, and a reduction in the time to first production and revenues. "We are delighted to welcome Newcrest as our chosen partner for accelerating the exploration and development of Havieron. Greatland will receive tremendous benefit from Newcrest's experience as a developer and producer at Telfer and Newcrest's broader understanding of the geology of the Paterson region. We believe that this deal represents a win-win for both parties due to the potential for significantly reduced capital costs and increased efficiency resulting from ore being toll processed at Newcrest's nearby Telfer mine. Moreover, Newcrest's expertise should help fast track Havieron through to a completed Feasibility Study and, subject to positive outcomes, into production and positive cash flow." "The terms of the Farm-in agreement recognise both the exciting potential of the Havieron project and the significant value that has been added to the project through a series of systematic exploration campaigns by Greatland since it was acquired in September 2016. Additionally, we believe that Newcrest's first right of refusal over the remainder of Greatland's Paterson project (the Black Hills and Paterson Range East licences and the areas of the Havieron licence not included in the Tenement Blocks) represents a strong endorsement of the attractiveness and prospectivity of our licences in the region. "In summary, we are very excited about the future of Havieron and the Paterson region more generally and we believe that this agreement with Newcrest will serve as a foundation on which we can build Greatland into a large and successful business delivering significant returns to our shareholders." Shares in Ariana Resources (LSE:AAU) enjoyed a 1.13pc boost to 1.9p on Tuesday after the firm announced a 25pc year-on-year increase in the gold production guidance for its key mine in Turkey. The business expects to produce around 25,000oz of the precious metal from the Kiziltepe mine. This is a quarter higher than its 20,000oz gold production guidance for 2018, and around 21pc above than feasibility plan for Kiziltepe’s third year of operations. Kiziltepe commenced commercial production in 2017 and is part of Ariana’s 50pc-held Red Rabbit Joint Venture with Proccea Construction. It is currently expected to deliver an average of 20,000 oz gold equivalent per annum over eight years of initial mine life for a total of up to 160,000 oz gold equivalent. Ariana is currently targeting a minimum ten-year mine life, which will require the addition of a further 40,000oz gold equivalent in reserves outside of the four main pits. In Tuesday’s update, Ariana said preparations are being made to start mining on satellite pits from early next year. 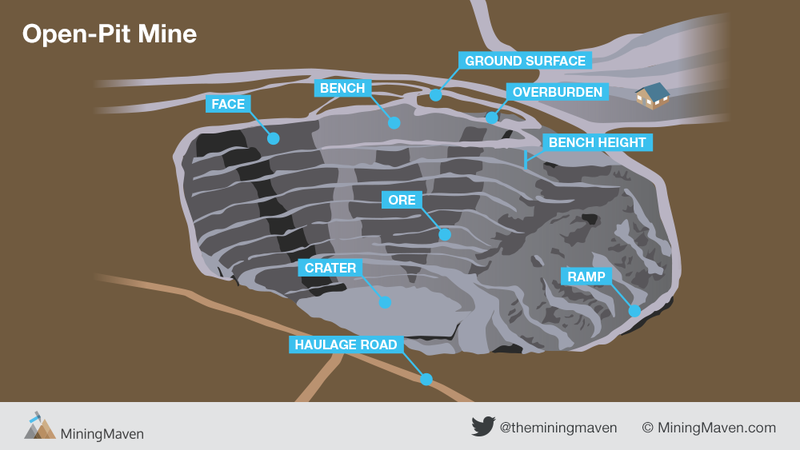 For the meantime, however, open-mining at Kiziltepe will continue to focus on the Arzu South pit in 2019. Ariana’s managing director Kerim Sener said the 25pc increase in production guidance reflects the firm’s expectations of higher grades as it continues to mine deeper at Arzu South. Indeed, the average grade of mined gold during the year is expected to be 5g/t, and recoveries are forecast to exceed 90pc. Meanwhile, full-year ore throughput to the mill is planned to reach 195,000ts, representing a 30pc increase over Kiziltepe’s feasibility plan. Ariana also said that it forecasts average monthly production of around 13,000ts of ore, peaking in the final quarter of the year. Elsewhere in Tuesday’s update, Sener said the Red Rabbit JV expects to have mostly paid off the balance of a $33m JV construction capital loan for Kiziltepe by the end of the year. This comes after the firm announced that the venture had paid off half of the debt as at the end of Q4 2018. African Battery Metals (LSE:ABM) fell 4.3pc to 0.45p on Monday after announcing that it will proceed with its copper-cobalt project in the Democratic Republic of the Congo. The business, which was trading flat with a £1.63m valuation on Tuesday, said it is now discussing a next stage exploration programme for its 70pc-owned and operated Kisinka asset. The decision followed a site visit by chairman Andrew Bell who, alongside executive director Paul Johnson, replaced the firm’s old management team last month. After meeting with local technical advisers & vendors and analysing existing data, African Battery says it has found ways to modify Kisinka’s exploration programme and optimise expenditure. A further announcement will be made regarding a new programme ‘in due course’. Alongside this, African Battery said that all outstanding Kisinka project payments have now been made to the site’s vendor, who is also 30pc owner. Meanwhile, the company has made changes to the site’s legal ownership structure to ensure it complies with the new local mining act. Consequently, Kisinka is in ‘good standing’ according to African Battery. Johnson said he was looking ‘looking forward’ to taking the site forward, adding that the firm is continuing to review its assets in Cameroon and the Ivory Coast over coming weeks. It will report back individually on each these. This work forms part of an ongoing strategic and operational review aimed at reorganising African Battery. This comes after the outfit was suspended from trading under its previous board last December as demands from short-term creditors exceeded available working capital. It was re-admitted last month after shareholders voted in favour of a host of proposals aimed and restructuring the business under Bell and Johnson. This included a conditional placing and subscription to raise £1m at 0.5p a share and help pay off creditors. Last week, African Battery said it has now paid all material creditor balances through either cash or share settlements. 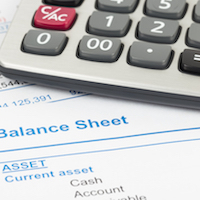 It now has no material debt and free working capital of around £860,000. It believes this figure will cover corporate plc costs, anticipated project exploration, and expenditure on existing interests for 12 months. Alongside African Battery’s existing project interests, Bell and Johnson are reviewing the organisation’s administration and management. They are also looking at new opportunities in battery metals, precious metals, and other commodity groups with a principal focus on Africa. 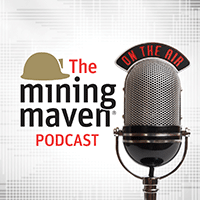 The article expresses the views of the Author solely and does not necessarily express the views of MiningMaven.com and Catalyst Information Services Ltd or their connected parties who are not responsible for its content or accuracy. Jangada Mines (LSE:JAN) was down 1.9pc to 2.6p in midday trading on Monday after confirming that a high-grade vanadium deposit is present at its Pitombeiras West project in North East Brazil. Exploration drilling has confirmed that the deposits have the potential for significant resource delineation. All four holes totalling 300m intersected high-grade, near-surface vanadium and titanium mineralisation. This was consistent with expectations from a recently-completed surface sampling campaign. It is also in line with other globally-significant vanadium deposits currently being worked in North East Brazil. Jangada said the results indicate that Pitombeiras West contains a deposit with grades around three times higher than the 0.25pc in-situ grade that c.70pc at which global vanadium resources are currently mined. Specifically, work identified a high-grade zone that contains an average of 0.83pc vanadium pentoxide, 11.6pc titanium oxide, and 48.4pc iron over a 12.8m average downhole width. Jangada said this high-grade mineralisation begins at surface and remains open at depth and along strike. Meanwhile, total mineralised intersections range from 26m to 46m wide with average grades of 0.57pc vanadium pentoxide, 8.1pc titanium oxide, and 37pc iron. Elsewhere, the company said preliminary metallurgical tests demonstrate that the material mined at Pitombeiras West can be processed by conventional methods. Pitombeiras West is found in close proximity to, but distinct from the PGM and nickel deposits within Jangada’s flagship Pedra Branca project. Here, the company announced a 117pc increase in JORC classified ore to 74.84 million tonnes. This included a 104pc increase in base metal content to 362.5 million pounds ('Mlbs') attributed to newly discovered nickel sulphide resource The firm said it is on track to complete its bankable feasibility study for the project by the end of Q1 2019. Oriole Resources (LSE:ORR) was up 0.8pc to 0.38p in midday trading on Monday after revealing a $500k success-based payment from one of its investments in Turkey. The firm will receive the money from its partner Anadolu in relation to the Karaağaç project in Turkey. The payment was triggered by the definition of a minimum JORC 2012-compliant resource of 50,000oz of gold at the site under the terms of a 2015 exploration agreement. Anadolu has announced an indicated and inferred resources of 348,150pz gold and 2,832,036oz at the site. The firm is now waiting for the Urban and Environment ministry in turkey to approval an Environmental Impact Assessment for the site. Oriole will receive staged payments of $25,000 a month for 20 months. It was paid the first of these instalments in February. The business is also entitled to a 1.5pc net smelter return royalty on any future production. Oriole’s chief financial officer Bob Smeeton said the development provided ‘further evidence’ of the success of oriole’s self-funding exploration strategy. ‘The company's focus on developing projects in conjunction with carefully chosen partners means that we can expose investors to significant exploration upside whilst also minimising the risk of dilution,’ he added. The news comes less than a week after Oriole revealed very encouraging’ high-grade anomalies at its assets in Cameroon. In an exploration update for the Bibemi asset, where it is earning up to a 90pc interest, Oriole said the first phase of a trenching programme had confirmed multiple zones of gold mineralisation. This includes 6m at 3.02 g/t gold with individual veins returning up to 13.7 g/t. The trenching programme is now complete, with the remaining results anticipated later this quarter or in early Q2 2019. 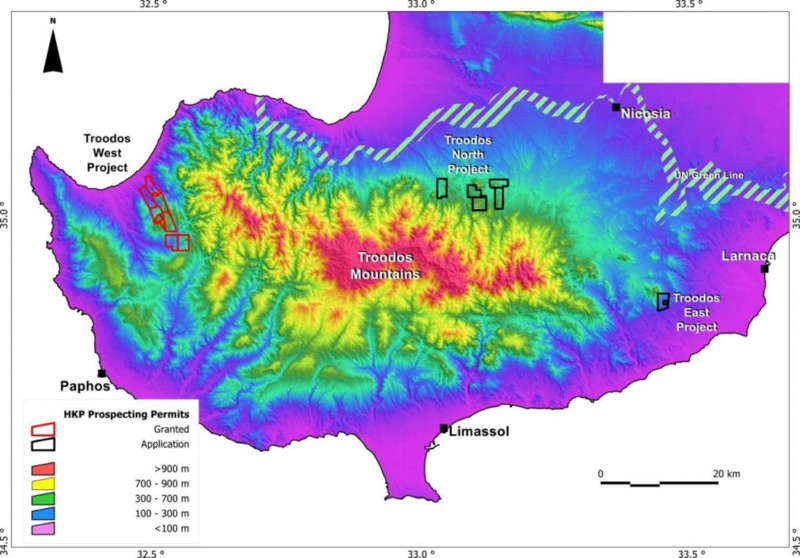 The work followed the news last November that rock-chip sampling results for Bibembi had demonstrated ‘bonanza’ high-grade gold anomalism extending over the c.4km strike. A phase two trench programme will now begin for a planned 4,360m. Elsewhere the business said it has also completed soil sampling at the earlier stage Wapouze project, where it is also earning up to a 90pc stake. Results for 2,119 soil samples and 146 rock samples are expected later this month. Oriole entered a conditional option agreement with established Cameroonian outfit BEIG3 in June last year for Bibemi and Wapouzé. The assets cover the highly prospective Neoproterozoic Pan-African greenstone belts in the north-east of the country. Monday’s update also comes several weeks after Oriole received a £500,000 rebate from the UK tax office. It will re-invest this into Cameroon and its other projects. Shares in gold and copper exploration business Chesterfield Resources (LSE:CHF) have languished since the company re-admitted to the Official List of the London Stock Exchange last summer. Currently sitting at 4p a share the Cypriot-focussed business is valued at £2.48m, which compares favourably to its current £1.73m cash position. With the firm fully funded for its 2019 drill commitments we caught up with Executive Chairman Martin French, who describes to us why he is so confident about the business’s prospects in 2019. In the months since July’s readmission, Chesterfield has been building on its strong base in Cyprus, culminating in the news earlier this month that it has more than tripled its exploration land package in the formerly thriving mining jurisdiction. With a funded exploration programme and near-term revenue opportunities on the cards, French says Chesterfield will be stepping up efforts to make its story known to the retail market throughout the rest of 2019. Chesterfield was set up as a cash shell back in August 2017 by a consortium of experienced mining investors. The group aimed to buy a company or asset that could profit from underinvestment in the mining sector alongside growing commodity demand and advances in technology. Following its suspension in November 2017, as potential transaction talks began, Chesterfield returned to trading in summer last year with the purchase of HKP Exploration for £500,000, paid in shares. The company raised a further £2m at 7.5p a share to cover a £1.1m work programme and £400,000 of working capital costs. French told us that Chesterfield was drawn to HKP’s focus on exploring for natural resources in Cyprus. The island has a rich mining heritage and a very active copper industry that used to be centred around the foothills of its Troodos mountains. However, this activity came to an abrupt halt in 1974 following the Turkish invasion of Cyprus. French says a surprisingly small amount of exploration work has taken place in the decades since. Alongside its prospectivity, French says Cyprus’s EU membership and strong UK ties have made it very easy for Chesterfield to operate. Indeed, despite the Turkish partition remaining in place, the area is well-ranked in terms of ease of doing business and corruption perception. Elsewhere, Cyprus’s climate allows for year-round exploration, and its well-developed infrastructure only serves to support operations further. HKP made applications to the government of Cyprus for 100pc-ownership of seven prospecting permits to search for minerals in 2017. These were approved in Q1 2018. Together, these form a 32.1km2 project on the west of the Troodos Mountains (Troodos West) that includes numerous, previously-operating copper and pyrite mines. Following this success, the business applied for yet another six prospecting permits last year. Five of these cover c.23km2 to the north of the mountains (Troodos North), while the remaining license covers 4.8km2 to the east (Troodos East). Like the acreage to the west, these permits include old mines. As it stands, four of the Troodos North licences and the Troodos East permit have been granted. The final permits are expected soon. Chesterfield immediately set out a phased exploration work programme for its HKP portfolio after taking over the firm last year. It gave itself a £1.1m budget and a one-year deadline for the work and is targeting a 1MM-5MMM mineral resource from multiple prospects. It expects this to grade c.2pc copper plus more than 1g/t of gold and silver & zinc credits. Although different areas are progressing at different rates, its programme is broadly made up of three phases. The first phase involves collating historical data and interpreting satellite imagery to identify prospective areas and prioritise fieldwork. Stage two then consists of ranking these prospects and defining field targets using geological & structural mapping, soil sampling, and ground geophysics. Finally, phase three centres around drilling targets and creating mineral resources. Despite historical drilling at Chesterfield’s acreage, French says he sees an opportunity in approaching the ground with superior geological understanding, modern exploration techniques and drilling technology. By doing this, the business hopes to prove up economic mineral resources and open new mines. Chesterfield’s primary focus so far has been Troodos West. To kick things off, it signed a diamond drilling contract with GEOPS Bolkan for at least 4,000m of drilling on multiple targets at the property last September. Rather than make a single massive discovery, French says the firm plans to discover a series of smaller deposits at Troodos West. Cyprus is well-known for volcanic massive sulphide (VMS) deposits. These are small but concentrated high-grade deposits surrounded by larger lower-grade mineralised vein systems. Provided these are found near each other, Chesterfield hopes to combine them and create a cheap, centralised processing operating. The organisation’s first targets were at Evloimeni, Mavroyi and Double Seven where a review of historic mining data highlighted the existence of Cyprus-type VMS copper-gold-zinc-silver mineralisation. The firm also conducted ongoing fieldwork to identify additional drilling targets. Alongside its exploration work, Chesterfield is working to develop early cash flow opportunities from waste dumps. In particular, French highlights a site called Limni as a near-term revenue opportunity for Chesterfield at West Troodos. Limni is a large, historic open pit mine where more than 8MMts at 1.1pc copper has reportedly been exploited. Last month saw Chesterfield announce that it had drilled more than 3,000m at Troodos West, with much of this taking place around Limni and other old workings nearby. Most of the holes intercepted mineralisation. The drilling also discovered an unexpectedly high amount of gold potential alongside the primary target of copper. Furthermore, it provided evidence of epithermal mineralised structures alongside VMS deposits. In essence, French tells us that this offers the potential for two separate styles of mineralisation. In response to the strong results, Chesterfield has accelerated its pace in several areas. First of all, it has commissioned a remote sensing survey across all its licence areas, and additional operational ground facilities are being appraised. Secondly, the company has decided to more than triple its exploration land package. Earlier this month, it revealed that it had filed applications over a further 182.96km2 of ground, taking its entire area of licences under application to 237.61km2. Now that these applications have been submitted, no other entities can apply for them. French tells us that Chesterfield’s land interest in Cyprus is now a multiple of that of any other player in the country. He adds that the company has already begun a detailed exploration programme on this significantly enlarged licence area, with drilling planned for later this year. To support its expanded operations, Chesterfield has also been increasing its presence in Cyprus. The company established a local Cyprus-based office in September last year and hired a number of graduates from the Camborne School of Mines. 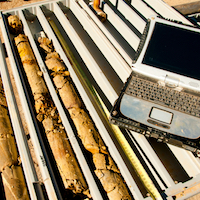 It also took on a local geological team to accelerate exploration and data analysis. It hopes to grow this further over the coming weeks. It has also taken on Michael Parker as chief operating officer. Parker previously worked at First Quantum Minerals for 20 years, where he held senior country manager positions in the DRC and Latin America and played a crucial role in two substantial copper discoveries. Chesterfield is also led by a wealth of mining and financing experience outside of Cyprus. Indeed, French, who was appointed shortly after the HKP deal last year, has more than 30 years of experience in capital markets and investment banking. He was previously Managing Director of North River Resources, a brownfield underground lead-zinc project in Namibia, which he turned around and sold to Greenstone Capital. The project is now entering production. Meanwhile, non-exec director David Cliffe was previously head of Exploration Europe for Rio Tinto. Elsewhere, fellow non-exec director Peter Damouni has built a strong reputation in Canada for his skill as a corporate financier. Throughout his career, Damouni has worked on and led equity and debt financings values over $5bn. French, who owns a 4.84pc stake in Chesterfield himself, also highlights the company’s unusually prolific shareholder base for its size. After a quiet entry to the market as it worked on securing a strong Cypriot foothold, Chesterfield is entering a critical period. Indeed, now it has begun to receive a regular stream of assay results from its drilling work, French says investors can expect a steady stream of news flow about new targets and projects over coming months. With shares jumping nearly 15pc when the company announced its licence extensions last week, it seems the market is now starting to sit up and listen. 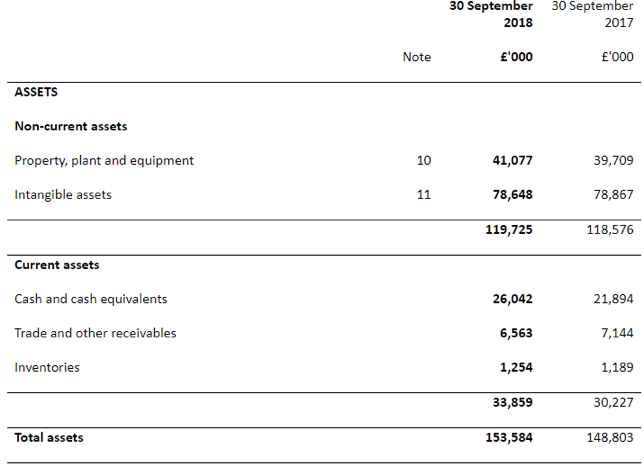 The fact that the firm believes its current c£1.7m cash position will fully fund its 2019 programme is only going to help on this front. With near-term revenue opportunities and plenty of exploration ground in its arsenal, Chesterfield’s current £2.48m market could present interesting value. African Battery Metals (LSE:ABM) jumped 11.1pc to 0.5p on Thursday after returning from the first stage of its strategic and operational review with a ‘robust financial position’. In Wednesday’s update, African Battery said it has now paid all material creditor balances through either cash or share settlements. 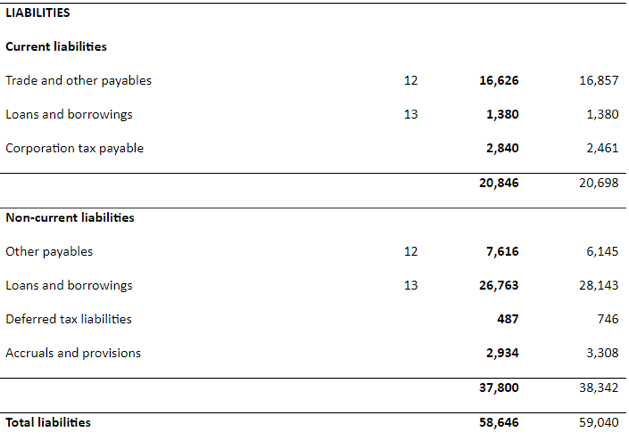 It now has no material debt and free working capital of around £860,000. It believes this figure will cover corporate plc costs, anticipated project exploration, and expenditure on existing interests for 12 months. News of this the financial progress came alongside the initial results of a strategic and operation review under African Battery’s new managers Paul Johnson and Andrew Bell. The pair, both well-known figures in the AIM community after holding numerous senior roles at mining firms, replaced the company’s former management team following last month’s vote. As well as joining the African Battery’s board, both Bell and Johnson each subscribed to £50,000 worth of shares in its placing. On top of this, Red Rock – where Bell is CEO and chairman, subscribed to an additional £100,000 in shares. To support this potential, Johnson and Bell have begun to assess African Battery’s business administration and management as part of their review. On Wednesday, the firm said that its priority focus is now on completing its audited financial statements for the year ended 30 September 2018. These are due on 29 March 2019 and will be followed by an AGM to discuss progress with shareholders. Elsewhere, management has been reviewing African Battery’s existing project interests to identify the most optimal way of progressing exploration and related costs. The work is being led by Bell, who is currently visiting the DRC to review the company’s assets and capabilities in the country as well as exploration options for its Kisinka copper-cobalt project. Moving forward, African Battery’s executive team intends to review the organisation’s operational interests in Cameroon and the Ivory Coast as well as the DRC over coming weeks. It plans to communicate its findings through individual market updates. It added that the allocation of project management and exploration spend will be focused on projects with the highest potential impact per exploration dollar. Although the company plans to stay broadly in line with its previous management’s exploration strategy, it said its approach might differ and build on knowledge acquired from previous work. Elsewhere, Bell and Johnson have been identifying and review appropriate new acquisition opportunities for the outfit. The firm said the funding climate for early-stage resource opportunities is still very poor, meaning vendors are willing to undertake transactions on reasonable. Through its network, it said it has already received direct approaches from third parties with new opportunities in battery metals, precious metals and other commodity groups. It is now reviewing a range of possible options. However, it will only proceed if a new asset is sufficiently attractive, complements and strengthens existing interests, and does not place undue pressure on cash requirements. Finally, African Battery said that it intends to remain focused on Africa and battery metals for the ‘foreseeable future’. However, it is also considering investment opportunities that can bolster its financial strength and give it exposure to strategically attractive areas for future business development. ‘Any recovery scenario should look to focus on existing interests first, extracting the best opportunities and building from that core. We are doing just that,’ added Johnson. ‘It is our intention to report our progress regularly to the market, providing individual project updates to enable investors and shareholders to have a clear understanding of each Company project in respect of its current status, our operational plans and our project level objectives. Shares in Oriole Resources (LSE:ORR) advanced 1.4pc to 0.36p on Wednesday after the business announced ‘very encouraging’ high-grade anomalies at its assets in Cameroon. In an exploration update for the Bibemi asset, where it is earning up to a 90pc interest, Oriole said the first phase of a trenching programme has confirmed multiple zones of gold mineralisation. This includes 6m at 3.02 g/t gold with individual veins returning up to 13.7 g/t. Elsewhere on Wednesday, Oriole said it has also completed soil sampling at the earlier stage Wapouze project, where it is also earning up to a 90pc stake. Results for 2,119 soil samples and 146 rock samples are expected later this month. Earlier this year, Oriole said it would invest a portion of its £500,000 rebate from the UK tax office into the projects. In Wednesday’s update, the company’s chief executive Tim Livesey said: ‘These results from our first phase of trenching at Bibemi are very encouraging and, together with the Phase 2 infill trenching, will assist us in both gaining a better understanding of the mineralised system and progressing towards a drill decision later in the year. He added that there remains work to do to under the controls on mineralisation in such a complex structural environment properly. ‘Remembering that the individual ore shoots in many of the world’s biggest mines exploiting this kind of orogenic gold deposit have strike lengths of around 200-400m, our immediate task now is to target the higher-grade sections with the intention of defining specific ore shoots and the geological factors controlling their localisation,’ he added.